In recent years, it’s been hard to disregard the meteoric rise of the home drone. 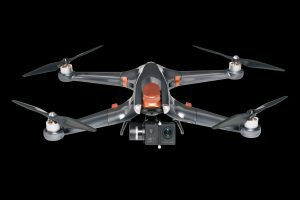 It seems like everybody owns one of these mini machines – some with mounted cameras, others with racing propellers, GPS trackers and next-gen processing systems. However, it’s worth remembering that the modern drone owes its popularity to RC planes. The RC plane is a forerunner to the drone. 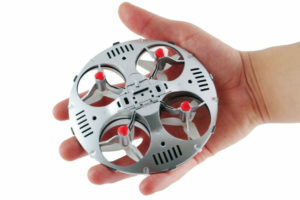 In fact, it’s still a hobbyist’s dream when it comes to radio controlled flying. These gadgets are loved by many because they are easy to pilot, simple to put together and they come in a broad range of price brackets. If drones feel too fussy and flashy for you, a traditional RC plane could be a great choice. This article explains what to look for and how to find the best RC for your flying needs and interests. As with drones, it can be tempting to opt for style over function. However, the best beginner rc plane is one with a specific shape and structure. 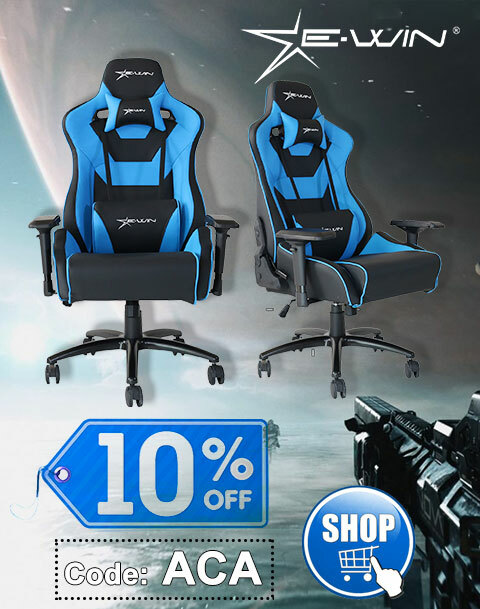 When browsing, look for a plane with a high wing trainer. The wing should be positioned right above the fuselage as this adds extra stability during takeoffs and flights. The weight of the fuselage steadies the wing and helps the plane to stay level. If possible check the angle between the two wings. Ideally, it should be as large as possible as this, again, contributes to steadiness and ease of flying. If you’re looking to show off a little and hone your fancy flying skills (with impressive turns), you need a reliable design. The most important consideration, after design, is definitely power source. 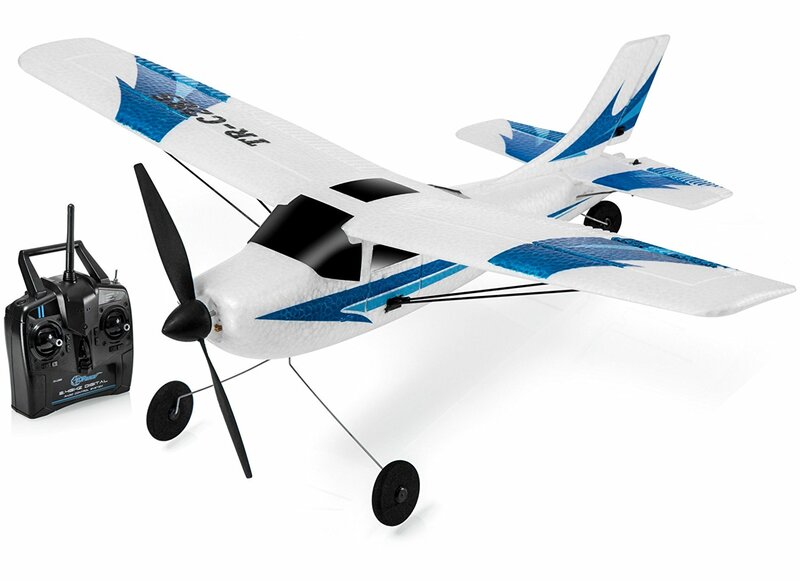 The duration you can fly your RC plane for is directly linked to the quality of its power. There are two main types of motor – electric and traditional. 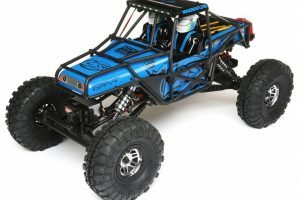 It should be said, these days, only the most dedicated of RC owners choose petrol engines. The reasons are obvious. They are significantly harder to fly, fuel and maintain. They cost more, they make more noise and they require more care. 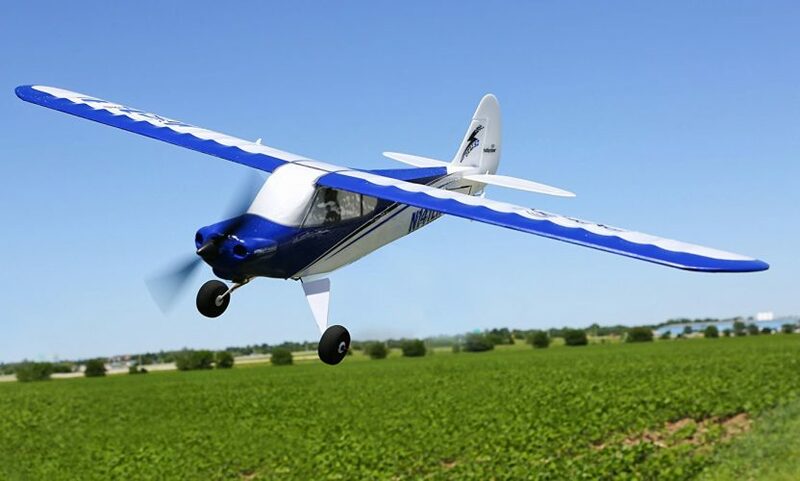 If your interest in RC planes is based on flying and not so much the mechanisms of the device, we suggest an electric plane. Unless you’re keen to tweak and build, there is no good reason to buy a petrol engine. For keen hobbyists, RC planes come in a number of models and varieties. You can pick up devices with one, two, three and even four control channels. Planes with one channel are a good place to start for beginners. However, they can get boring quickly for those who pick up flying fast and want a bit of a challenge. There are all kinds of great beginner planes. If you’re planning to hone your skills, a two-channel device may be a better option. Again though, most beginners find themselves graduating to a three channel plane pretty quickly. Three channels RCs are slightly pricier, but they allow the user to control motor, rudder, and elevator. They are faster in the air and capable of pulling impressive acrobatic manoeuvres. While drones may look flashier, they involve less skill and finesse than RC planes. RC flying is an ability that requires practice and commitment. There is danger, exhilaration, and anticipation in every roll and dive. There is joy in knowing that, after every successful flight, the plane is still in one piece because you were the perfect pilot. Press Release and First Look: Halo Drone, the Best Drone?